Its called an integrated circuit because its a molded epoxy package with a circuit integrated into its insides. That means its stuffed full of wires, resistors, transistors and all the other garbage you need to make a circuit. Some chips are made for simple purposes like inverting binary numbers. 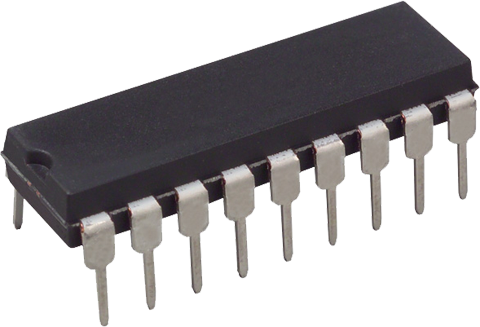 the 40106 chip used a lot on this site is a good example of this, it is a CMOS logic chip. 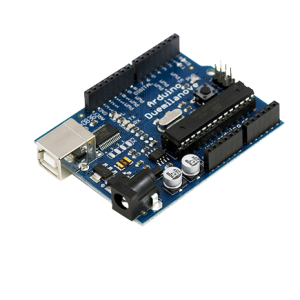 where as some are more like little computers like the atmega328 that we find on the ever popular arduino boards. 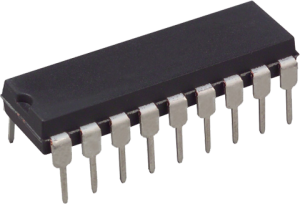 These far more advanced chips are called microcontrollers or µC for short (the µ symbol “Mu” means micro). 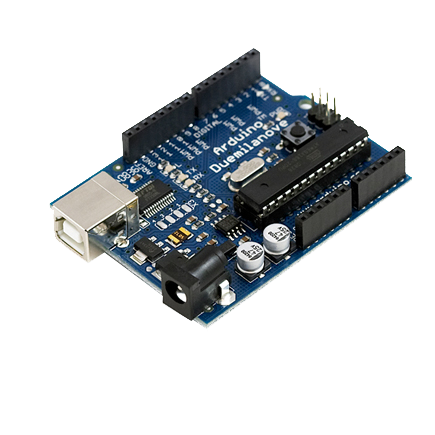 These chips can be used for things like midi controllers, controlling engines in modern cars or even bringing a robot to life. Modern electronics usually use chips that have shorter flat legs. 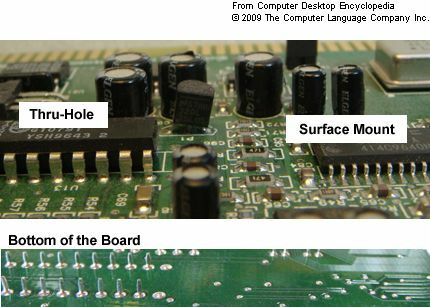 These are surface mount “SMD” components and are meant to be soldered to the surface rather than pushed through a hole (through-hole components) and soldered on the other side. These are alot harder to solder by hand and are impossible to use in our breadboard. A lot of chips still come in both versions theough. Luckily for us hobby nerds.